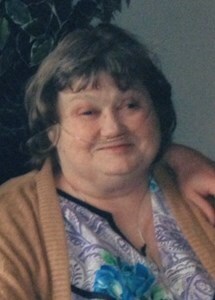 Norma June Gray,71, of Cicero New York passed away on November 24.2018. Norma was born June 12, 1947 in Booneville, New York; the daughter of the late Floyd and Eva Camidge. She was predeceased by her two sons, Michael and David and her niece, Elaine. She is survived by her husband of 53 years, Alfred Gray Jr,; her children, Lisa, Nancy, Brenda and Tracy; her grandchildren, James. Jameisha, Shawntisha, Brandon and Nathan; her sister Barbara (Melvin) Lincoln; her brothers, Floyd and Keenan Camidge ; several nieces and nephews and two very loved great granddaughters. Everyday for her was dedicated to her family and making our house into a home. A great mom and grandma, she provided a lot of laughter and fun. We were always swimming, biking, picnicking and cooking out. She was always planning the next holiday or family event. She taught us all about love and humility by helping and being there for everyone no matter who they were or what they had done. Sometimes her help was given even before the person knew they needed help. Her love was always unconditional. Her spare time, which was rare, was spent on bingo, crafts and soap operas. She loved country and polka music, going to many shows. She loved playing practical jokes and making her famous peanut butter cookies. Her love, laughter and care will be missed. That sparkle in her beautiful blue eyes will always be remembered. She was a beautiful soul that will always be in our hearts. Services will be private for the family and close friends. To share a memory of Norma or leave a special message for the family, please click the Share Memories button above. Add your memories to the guest book of Norma Gray. Oh how sorry to learn of Norma's passing. Please know all of you are in my prayers, thoughts. It's truly hard when you lose the person, like your mother. As most know my mother lived next door as did I. I truly don't know how we (my mother&I) got so lucky to have your family so close. When I think of your mother so many memories come flying in some funny, caring, laughing, loving, cooking, eating just so many. I remember only great things of a woman who had, the biggest heart in the world. I remember how your mom would take your father's ladder from outside. She would yell for my mother, then put the ladder over the fence. There was times my mother and you're would be laughing so hard, your mom would have tears running down her face. Your mom would look at the clock and say "well Fred will be yelling for me". When he did the both of them would laugh hard. Your mother showed so many people who to love,laugh, caring, sharing. I don't think she even knew just how many people she touched. I could go on and on about your mother. I feel your mother is with my mom and I hope heaven can handle them together again. I can say my mother & I truly loved you mom, we talked of her many times. Again I'm truly sorry about your mother. Thank all of you for sharing her with us. You'll be very missed Norma. Rest assured. I'll look after your care take. My best wingman. Brenda. To the Gray Family: We were very sorry to hear of Norma's passing. It was our pleasure to have her as a roommate for the past few months at the ECF. Brenda, your dedication to the care and well-being of your mother was an inspiration to all who witness it on a daily basis. Al, it was always good to see you and Brandon when you came to visit. Please accept our condolences on the passing of a kind, warm-hearten woman who will be missed by all. May she RIP. Norma was always a bright spot in my day. I will miss seeing her and hearing her voice. God Bless her daughter Brenda, her care was unwavering through it all. I will miss her too. My deepest sympathies to all of her family and loved ones. Great woman always could make you laugh. We hade some good time in that house and in the good old station wagon always taking us kids with him out to the eat. All the time they took us sledding she always include us neighbor kids to join her and her family no matter what.She even yelled and grounded us when we got in trouble..
fly high with the angles you will be missed and never forgotten. So many memories with you Norma. Taking us girls to the beach, swimming out back, church, bike rides, overnights, the famous egg sandwiches you would make for Tracy and I. Out of everything, the things I remember most were your smile, your laugh (very contagious belly laugh) and the way you opened your home to me and made me feel like part of your family. I am truly honored to have had the opportunity to have those experiences but so very sad to know that there are people out there who would never know what a true blessing you were to us. The only reason that could be is they never met you. You are loved by so many. So heartbroken. Love you Norma. Rest easy. Until we meet again. R.I.P. Brenda and family, we are very sorry to hear about your mother and wife passing. Our prayers and condolences are with you in your time of sorry. She will be smiling down on you all.